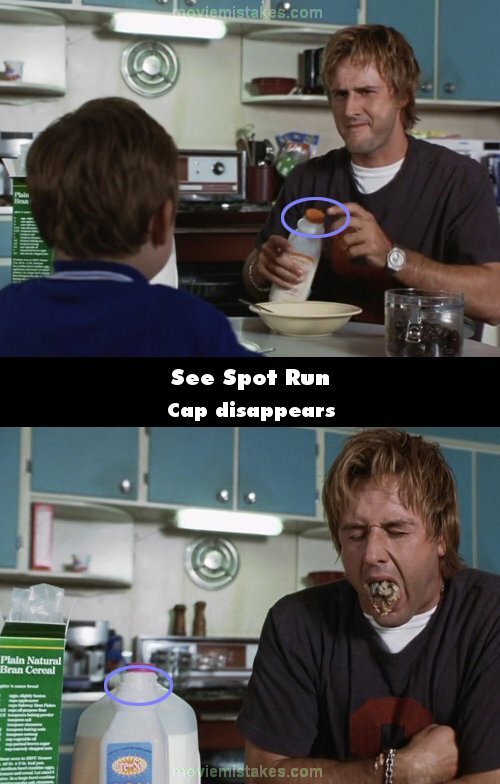 Continuity mistake: When Gordon fixes himself the bowl of bran cereal with soy milk and prunes, he places the orange cap back on the soy milk, but when he tries to eat the cereal and spits it out, the soy milk cap is gone. Then it's back on the bottle, before it's off and back on again. (The regular milk cap is pink).